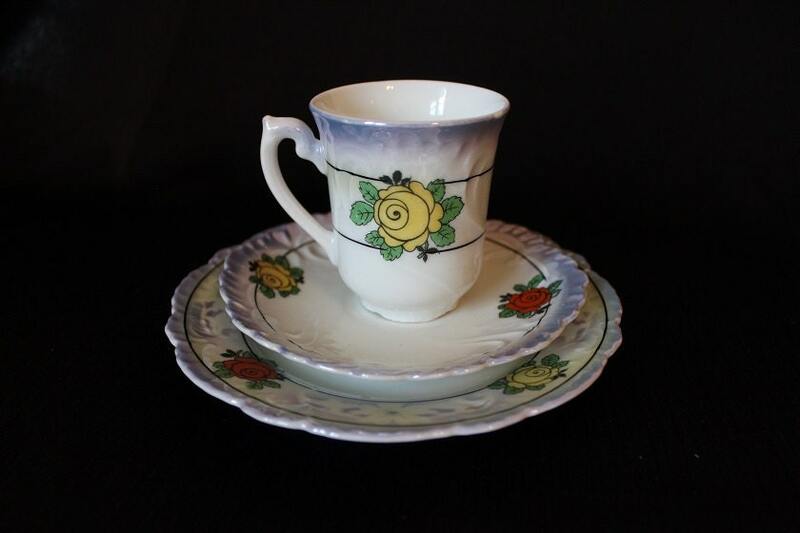 This vintage cup and saucer set is marked "Bavaria" in red on the bottom which dates it between 1891-1937. It features hand painted yellow and red roses against a cream color. The cup has a single red rose on one side and a single yellow rose on the opposite side. There is a white floral and scroll flower design between the roses framed by two single black lines. 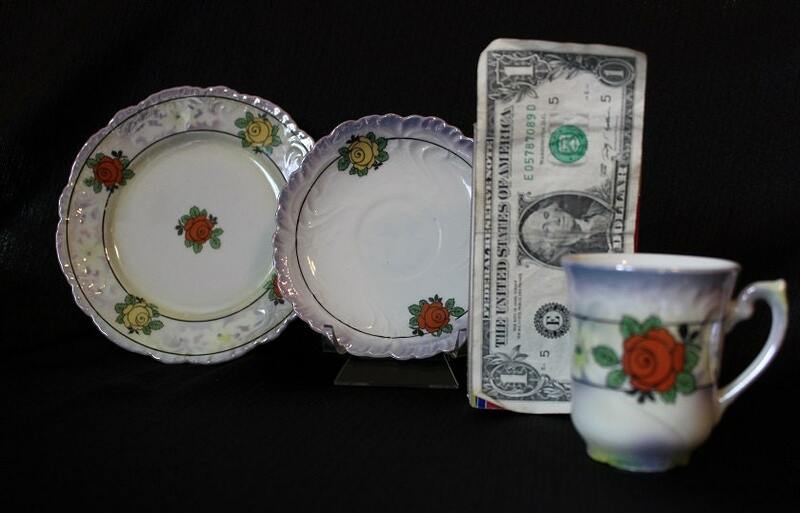 The rim of the cup has a lightly brushed with a purple/lilac color showing areas of a cream background color. The brushed lilac appears intermittently at the top of the hand and along the base. 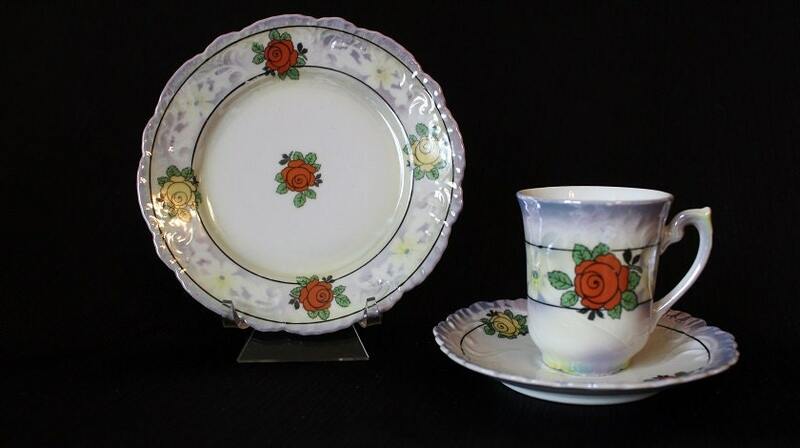 The saucer also has a single red rose and yellow rose on the rim opposite each other. There is a raised scroll design between the roses connected with a single black line. 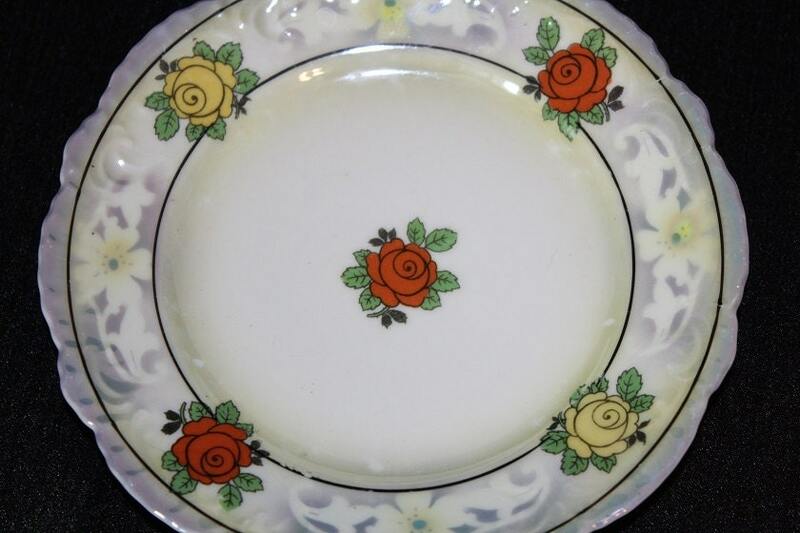 There is a single red rose in the center of the dessert plate with an alternating yellow and red rose. Framing each rose is a white floral and scroll pattern against a purple/lilac background. This design is framed with two thin black lines. The rim is a purple scroll. 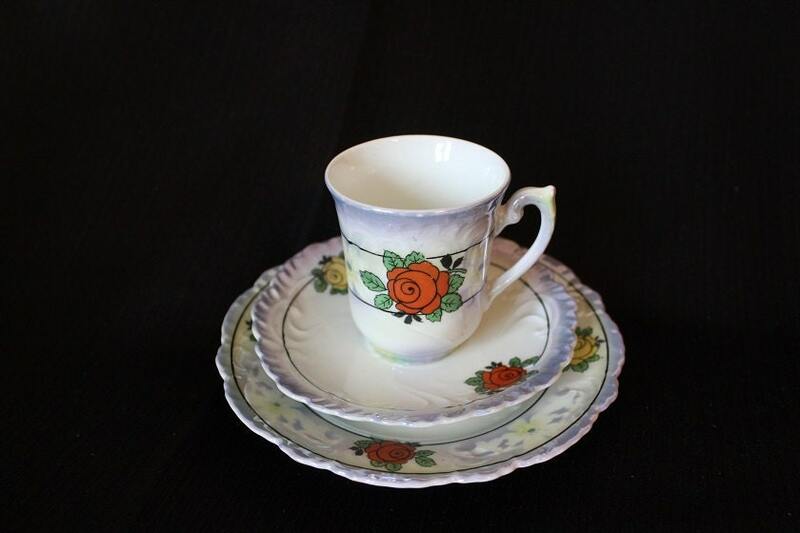 This delicate porcelain set has lusterware glaze. This dessert is in excellent condition. It has bright colors with no crazing, cracks or chips.